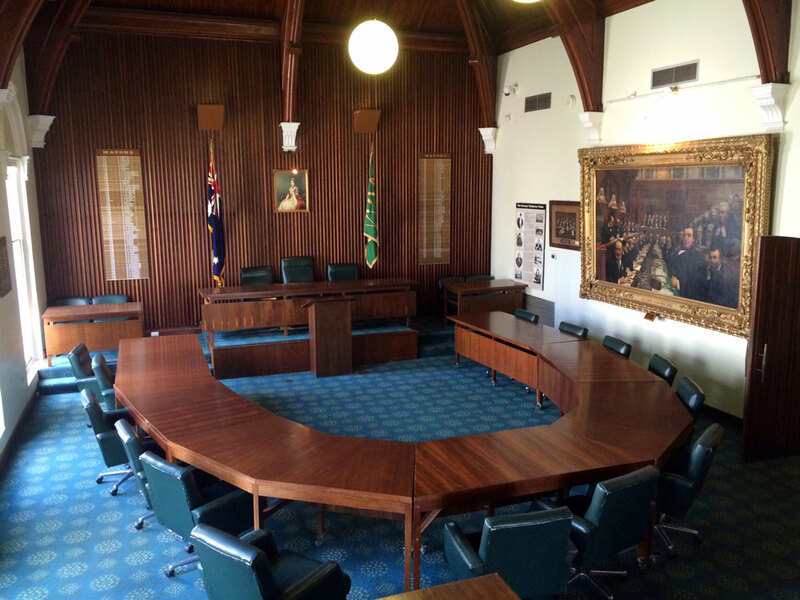 When not being used as an exhibition space, the Museum's Historic Council Chamber is available for hire. 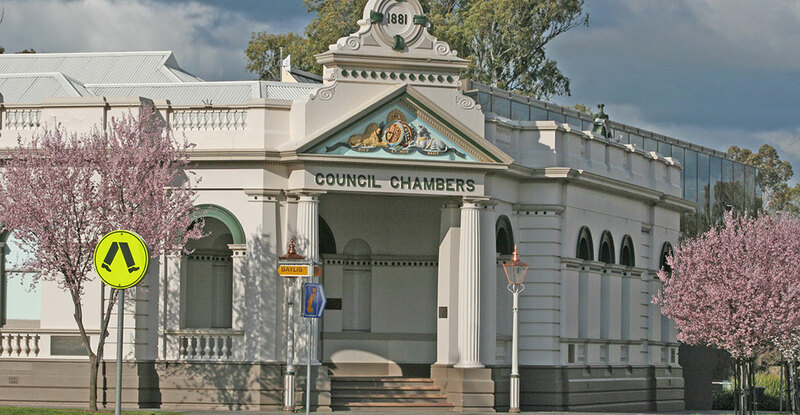 Situated in the heart of Wagga's Civic Precinct, the stately room seats 15 comfortably in its standard configuration, and up to 80 for a lecture-style presentation (set up fees apply). A lectern, public address system, hearing loop and free wifi are available. Additional fees apply for provision of coffee and tea. A screen and projector can be provided but setup fees apply. Room hire and staffing fees are based on council's Fees and Charges schedule, and the room is available for as little as $50, depending on the timing and staffing requirements. Contact the staff at the Museum's Historic Council Chambers site to discuss room availability with us. Phone 6926 9655.